BUDAPEST, Hungary, 2019-Feb-08 — /Travel PR News/ — Budapest Airport, the operator of Ferenc Liszt International Airport has announced that it would be continuously investing over the next two years in developing its existing terminals, as a result of which traveling by air will become faster, more predictable, and more convenient. In the framework of the bud:plus development program, the airport will change spectacularly already in the first half of 2019. 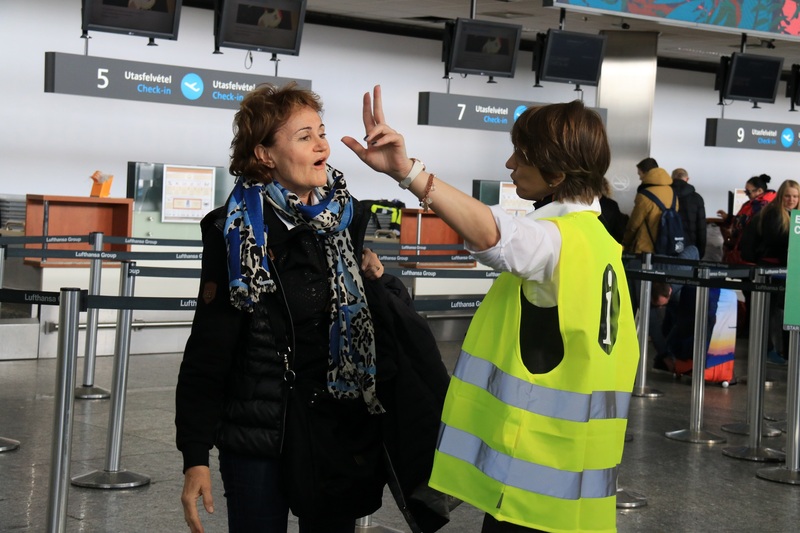 Thanks to enhanced passenger security screening and self-service baggage drop-off, Budapest Airport is going to be well-prepared for the summer peak. Most of the development projects scheduled for completion until the summer of 2019 serve passenger convenience and orientation or affect security screening and border control procedures. Several sections of the terminal building will be reconstructed and refurbished: after demolition of some offices and storage rooms, the corridor through which arriving passengers access the baggage reclaim hall will be made wider by the end of February, whereby the arrival areas will accommodate significantly more passengers. By decommissioning additional operational areas, the baggage reclaim hall will also be extended, enabling the extension of one of the baggage reclaim carousels. In the summer peak, decreasing waiting times and speeding up baggage reclaim will make it possible for the airport to receive 2-3000 arriving passengers per hour. Toilets are to be reconstructed and extended in Terminal 2B as well as the mezzanine of SkyCourt, as a result of which their capacity will be increased three-fold by the summer. This entry was posted in Airlines, Airports, Business, Flights, Holidays, Travel, Travel Management, Travel Services, Travelers and tagged 2019 summer, Budapest Airport, István Szabó, Péter Huszka. Bookmark the permalink.